If sales is your business or forms a core part of it, then you’ll want to do all you can to inspire and motivate your workforce. One thing that is certain to boost productivity and spur on a sales team to meet those targets is a well-designed workspace. 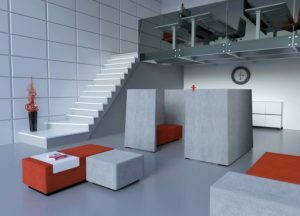 Whatever the size or format of your office space, there are always things you can do to transform it into a place where your staff actually enjoy spending time. Remember, a happy workforce is a productive workforce, so let’s take a look at six top ways to achieve happiness amongst your sales team. You’ll benefit greatly from getting all your sales people together in their own dedicated ‘sales hubs’. Bring a group of people with the same goals together, and they’ll soon be sharing the buzz of success. It will also inspire competition amongst the group, which can only be a good thing. 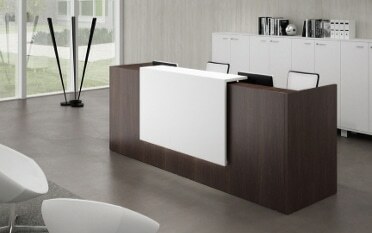 Zoning in an office environment is always effective. Different teams need different types of ambience. Creatives need inspirational surroundings and space to move around; HR, admin and accounts need peace and privacy, and sales pros need… their own space! In the sales department, there tends to be a higher volume of noise than anywhere else. Talking is part of the job after all, and discussing tactics is a necessity. So for the sake of the sales team, and the rest of the organisation, when you create your sales zone, invest in soundproofing. 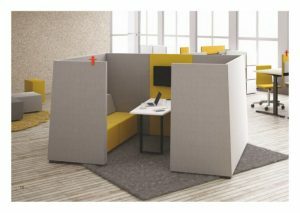 This can be achieved through floor to ceiling soundproof divides or, where possible, get the sales team into its own dedicated room. Your people work hard, so the least you can do is make their workspace comfortable. 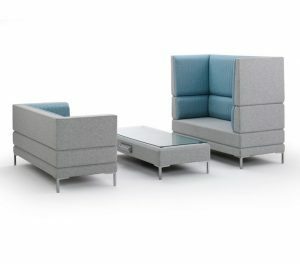 Office chairs obviously play an important role here, but instead of choosing what you think someone will like, why not involve your team? The type of office chair that works for one person may be the type that someone else detests. Some love arms and headrests, others can’t get along with them. So run a workstation audit, find out individual preferences, and give them what they want. 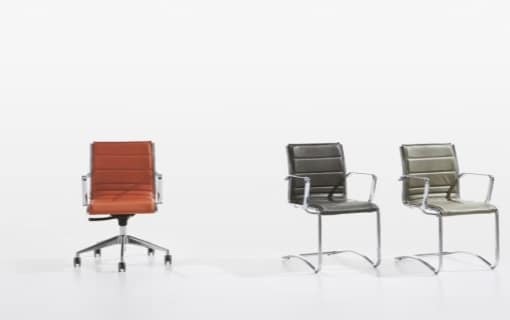 There is enough choice in office chairs out there when it comes to something to suit everyone! 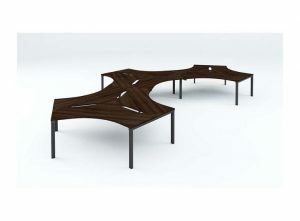 Desks are another important comfort factor and again you’re going to be dealing with a range of preferences. 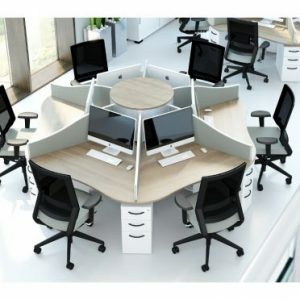 There are plenty of options when it comes to cluster desks and workstations which are a favourite for call centre environments, but do these provide the flexibility needed for your sales team members to feel as productive as they could be? It may be that your sales people prefer to stand at their desks, at least for part of the day. 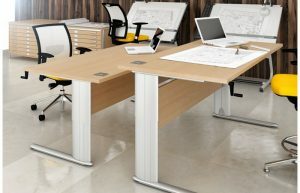 We’ve explored the benefits of sit-stand working in a previous post, and it’s certainly growing in popularity. 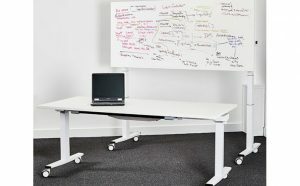 So why not provide sit-stand desks so that your team can enjoy the flexibility to choose? It’s got to be the best happy medium! Sales is a very high energy environment and it’s important for the people working these roles to be able to take regular breaks away from the adrenaline-fuelled atmosphere. Be sure to provide getaway rest areas where people can take time to refresh their minds. 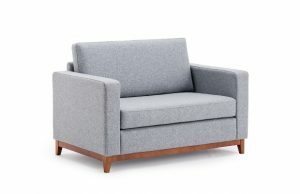 Some nice soft seating; a window if possible; calming artwork and plants; soothing music and lighting; a coffee machine and water dispenser; charging stations and perhaps a few take-your-mind-off-work board games too. In fact, board games are experiencing something of a renaissance thanks to a host of recently discovered benefits including boosted mental health and stress reduction. 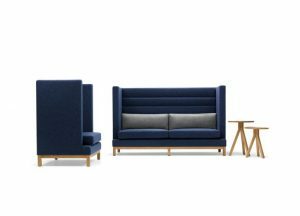 These areas are also great for sitting down to discuss business with a potential client and high back booths will provide the privacy needed for such get-togethers. 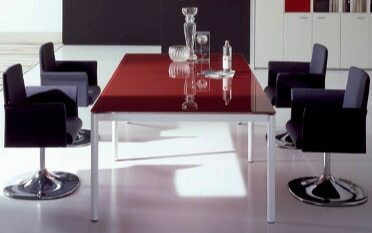 If your company is growing then you will need to factor expansion into your office space planning. It’s no good creating the perfect, spacious environment for your current workforce, then gradually squeezing more and more newcomers in as your business starts to take off. If you intend to grow your sales team then design with this in mind. Those ‘empty’ spaces will soon be filled, so be sure to make allowances in this respect. Inspire with carefully chosen artworks; hand out responsibility by ‘assigning’ the care of plants to different team members and do some research into getting those colour schemes really working towards motivation and sales success. You’ll need to get the lighting right too. 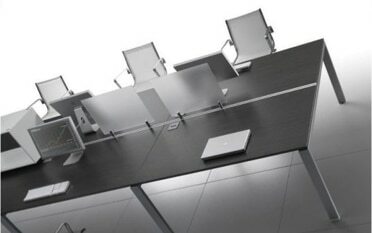 Adjustable lighting offers flexibility and individual workstation lights allow people to choose what suits them on an individual basis. 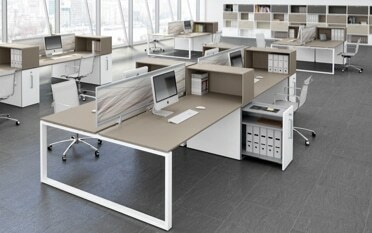 Where possible, introduce as much natural light as possible for the ultimate productivity boost. Lastly, targets and achievements displayed on digital boards are great sales team motivators, and reliable tech will allay any day to day frustrations. Super-charge your sales environment with the help of Tag Office! 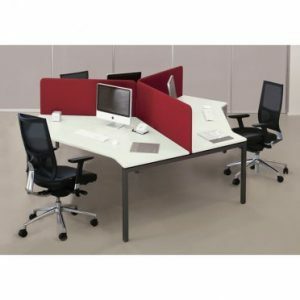 Tag Office is a nationwide supplier of a wide range of high quality office furniture including a variety of desks, seating and storage solutions ideal for creating the perfect sales team workspace. If you are looking to super-charge your sales environment, why not get in touch with our friendly team? We’re at your service with tailored advice and inspirational guidance. We look forward to hearing from you! 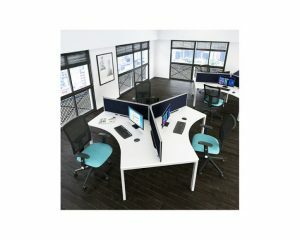 Posted in Height Adjustable Desks, Office Desks, Office Seating, Sales Office, Sit-stand Desks and tagged cluster desks, height adjustable desks, high booth seating, office seating, sales cluster desks, sales office desks, sales office furniture, sales office seating, sit-stand desks, Soft Seating on 17th May 2018 .